Aristide (Aris) Toundzi, senior manager at EY in New York City, came to Wharton’s EMBA Program to gain the network, knowledge, and skills needed to make an impact on economic development in Africa. Born in Cameroon, he saw a critical need to build affordable housing in his home country. 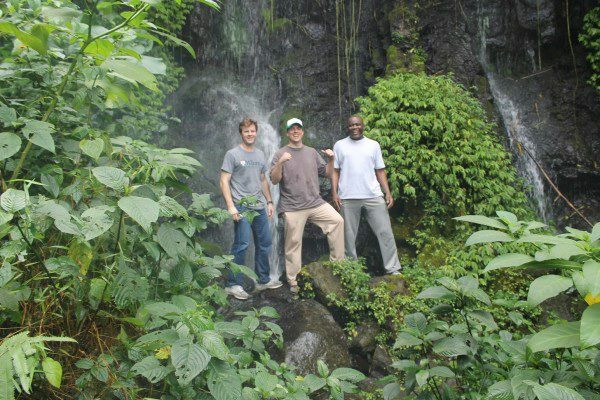 Teaming up with fellow EMBA students Ben Bullock and Greg Hagin, the group recently returned from a due diligence trip to Cameroon. 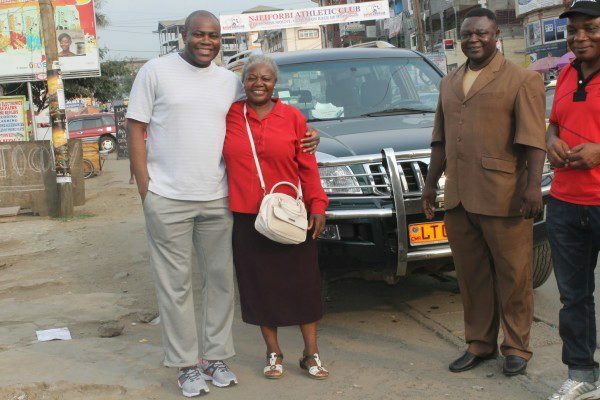 I was born in Buea, Cameroon where I was always struck by the country’s need for development. Graduating high school with the highest grades in the country, the French Embassy enabled me to go to college in France where I studied engineering and business. When I flew to Paris at the age of 17, I remember telling myself that one day I would come back to make a difference in Cameroon. I then went on to earn my master’s degree in computer science at Ecole Centrale de Paris, where I discovered an interest in consulting and also helped found a club for African students. That led to a consulting internship and eventually my current position at EY. At EY, I started working on the idea of creating an African Business Center to help U.S. clients who want to do business in Africa. There is increasing interest in investing in Africa, which is a large frontier and U.S. companies were asking for more advisory services so it was perfect timing. After my idea was accepted, I wanted to find ways to be even more impactful. To do that, I needed to connect with the right people and gain a formal business education. That brought me to Wharton’s EMBA Program. The African Business Center at EY was taking on a life of its own so I began thinking about what I could do to specifically contribute to the development of Cameroon. At Wharton, I looked at different areas and I selected infrastructure for the key role it plays in a country’s economic development. The government is building 1,000 to 2,000 homes a year, but the country really needs about 100,000 homes built a year. Otherwise, people end up building shacks and that is already happening. Once those shacks are built, it’s hard to unwind and fix the problem. Both of my parents’ families are developers and have been building homes for 30 years. After discussing ideas with my parents, I realized that the timing is right to work in housing development. What is currently happening in Cameroon is similar to what happened in China 20 years ago in that there is construction going on everywhere, but so much more needs to be done. 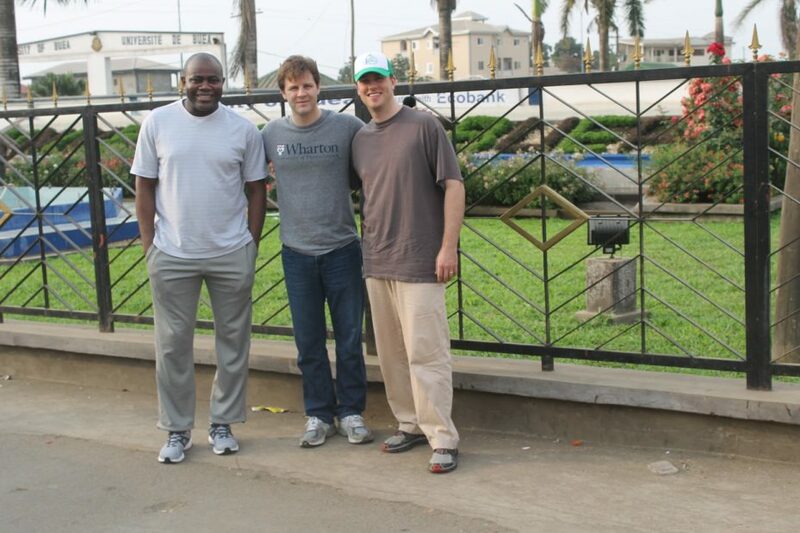 At Wharton, I met Greg Hagin and Ben Bullock who have joined me in my efforts to develop affordable housing in Cameroon. Greg is the corporate vice president and managing director at CCS in Philadelphia and is actively involved in Habitat for Humanity. Ben has a background in private equity and real estate and is currently a captain at the Joint Chiefs of Staff Organization in Washington, D.C. We discovered our shared vision in a management class last year and made a concerted decision to leverage the rest of our time at Wharton to mature this idea and take advantage as much as possible of the numerous resources available at school. In our second year, we selected electives that would help us achieve our goals. We participated in the Wharton Business Plan Competition and as that plan evolved, we were pleasantly surprised that this was not just a philanthropic exercise, but rather a very profitable venture that would allow us to achieve our social impact goals. We continued working on the idea through independent studies at Wharton. We used data analytics to create a model to show the best way to raise money, which was a blend of government, investor and philanthropic funding. We also benefited from faculty support. Our professors have provided advice, guidance, and shared personal experiences and contacts to help us advance this project. 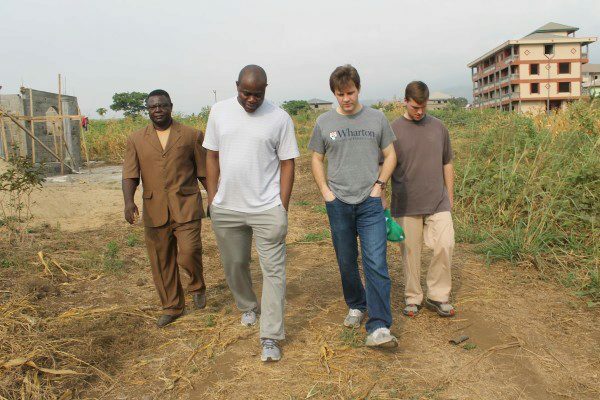 In March, Greg, Ben, and I visited Cameroon together to conduct due diligence and market studies in the local real estate market. I arranged for site visits and deal sourcing meetings in five cities as well as a Real Estate Symposium with leaders in the real estate ecosystem. We also visited one of my uncle’s projects, which involves building 1,000 new homes at an accelerated rate using new construction technology of metal casings from India and concrete. That visit was the culmination of 12 months of effort within the EMBA program across multiple classes, independent studies, and the Wharton Business Plan Competition. We saw how accelerating the construction of much needed homes will benefit millions of people. It is a race against the clock! 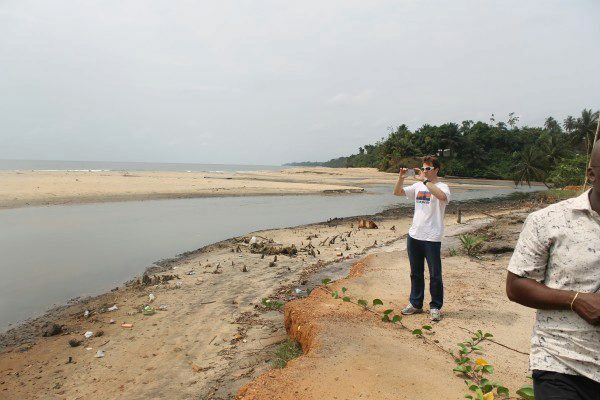 In my native town of Buea, we explored opportunities for investing in affordable student housing near the university. We saw how such a project can affect many people from the small businesses who will support the students to the construction workers to the students themselves. Ben, Greg, and I are now taking a Management elective and our final project involves setting up a private equity real estate fund. One of the transactions the fund will support is a bridge loan for that project. Many Wharton EMBA students have been very supportive by providing advice, contributing resources within their networks, and spending countless hours helping me with this initiative. I am particularly grateful to the following students: Robert Specht, Patrizio Cernetti, William Chan, Emmanuel Casuscelli, Eran Socher, Ramiro Castro, Walter Rooney, Jodi Reynhout, Sai Vijayanathan, and Jing Ma. And coming to Wharton enabled me to meet Greg and Ben and I wouldn’t have been able to do this much without them. They have brought to bear all of their energy, expertise, and passion to our work in Cameroon. The EMBA program has given us a very unique opportunity to apply what we’ve learned during the past two years to make a difference in the development of Africa, starting with real estate. This has been a life-changing experience!